IT'S FINALLY HERE! Ladies and gentleman, the BEST month is back. To kick it off, here's my lovely mother all done up, Photoshop-style, as what I'm calling the Queen of Crows. 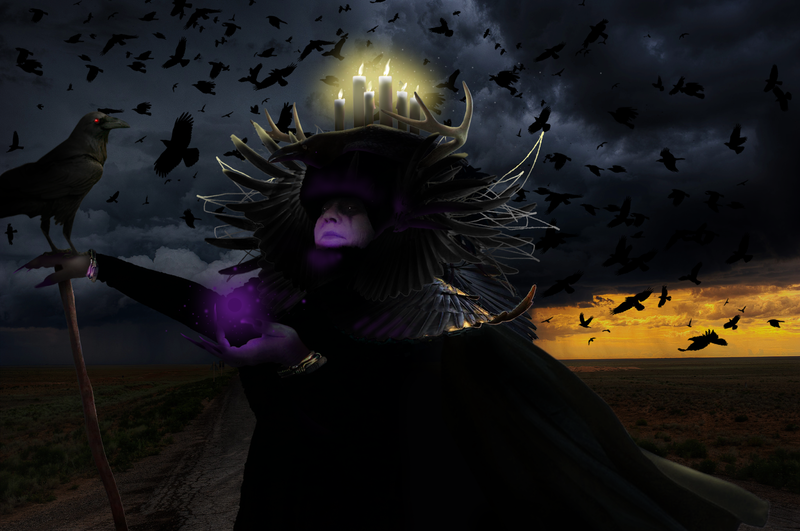 I honestly didn't set out to make this picture quite so...elaborate, but isn't she amazing? 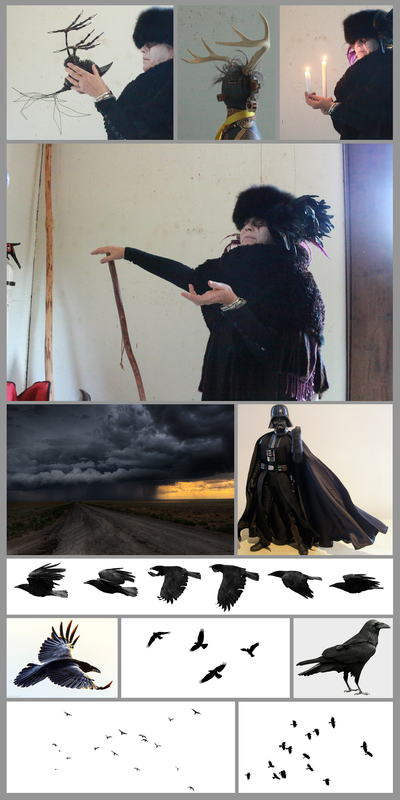 Below are most of the various images that went into creating her (there were a few more crows, I think.) OCTOBER!!! !